Thomas Morris in Culture & Arts Drama on 7 February, 2019. So this one’s different. Quirky. Alex Julian-Ottie’s play, “Poseidon’s Playhouse”, is bizarre, hilarious and truly unique. Griffin Sheldon plays Ned, hapless husband and useless father, who we first meet as he is joking around with his 13 year old son Saul (Ewan South). The two are clearly having a good time, unlike Ned’s wife, Mary played by Sophie Cullis, who has just discovered that Ned is attempting to take Saul out of school. As the only mature adult in the house she is understandably angry and when Ned fails to grow up she kicks him out of the house. We catch up with Ned some time later when, childish and silly as ever, he finally has a new job as a village priest. As he begins to bond with his flock everything begins to break down in the funniest and strangest ways possible. Poseidon’s Playhouse could very easily have turned out as just a good comedy. It’s got jokes. It’s got wit. It’s got energy. But I can’t help but thinking that there’s something more going on. The play begins innocently enough but, if you’re expecting it to carry on like it’s the theatre adaptation of Father Ted, you’re in for a shock. And whilst I don’t want to be so bold as to set out any one theory (did I mention how confusing the story is?) Ned is clearly a troubled soul. We learn that he was bullied as a school kid and, perhaps, finding reality too harsh and unforgiving he has constructed and retreated into his own imagination. It’s a boundary that the play certainly seems to blur as some scenes step slightly beyond weird and into the territory of absurd. Overall the entire production felt very well put together. Everyone knew what they were doing and did it well. Everyone gave a great performance with some hilarious scenes: the confession scene between Ned (Griffin Sheldon) and Jerry (John Duffett) remains one of my personal favourites. In general, the play is silly, funny and sometimes just a bit sad. It’s weird in a way that can only be understood by watching it but in the same sense it’s also great fun. Poseidon’s Playhouse. A good way to spend an hour. *meshes fingers together*. Now go buy a ticket so you can appreciate my reference. 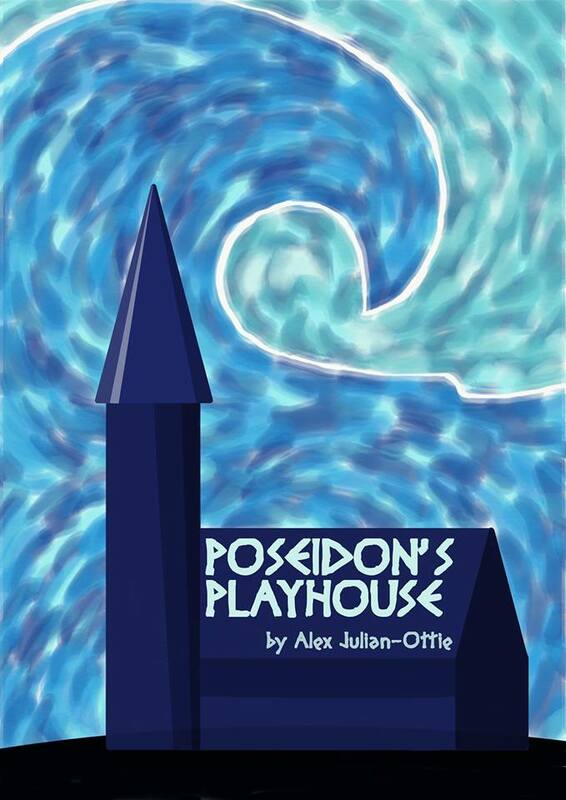 Poseidon’s Playhouse is on Wednesday 6th February at 3:30pm, Thursday 7th and Saturday 9th February at 9pm in the Mark Hillery Arts Centre.